Technology companies, especially the bigger lions like Apple and Google, have been successfully pushed by consumers and activists to consider user privacy and security as a crucial point of their operating systems. Both iOS and Android now carry improved encryption techniques that not only protect the end user from theft and targeted incidents but also from the unnecessary poking of government security agencies like NSA, FBI, GCHQ, and the lot. Of course we celebrated the security of iOS and did the same when Android L was announced this week featuring default encryption and increased protection policies with easy remote reset options. This doesn’t bode well with the above and many more such security agencies and government states world over. This bitter pill that companies have started taking users more heavily than the authoritative agencies isn’t being gulped down so easily. According to the New York Times report, F.B.I. director has hinted that the Obama administration will take regulatory action against Google and Apple over making changes to their respective mobile operating systems as these changes will make it more difficult for law enforcement to search the contents ‘without the consent of the owner’. Yep, they don’t like talking to us minion humans for consent and are fond of doing the job right away without the middle man who unfortunately happens to own the device. The director of the F.B.I., James B. Comey, said on Thursday that the “post-Snowden pendulum” that has driven Apple and Google to offer fully encrypted cellphones had “gone too far.” He hinted that as a result, the administration might seek regulations and laws forcing companies to create a way for the government to unlock the photos, emails and contacts stored on the phones. The “gone too far” from the director possibly comes at a right time as a lot of push was exerted on the technology leaders by consumers after the Snowden ongoing streak of leaks revealing the very disturbing extent to which agencies are involved in tracking down and recording personal data of possibly every human being. From 2013 onward, there have been small successes in this regard as companies were first asked to publicize how many requests different governments made to them for showing records of any certain user. With the latest improved encryption, Apple and Google have tried to stay out of this equation by giving the handle of security and encryption right in the hand of the user. This essentially means that the companies will have no more authority over user content and will not be able to comply with law enforcement agencies in their requests of unlocking a device. No matter however appreciated, this is no philanthropy from the companies though as have proven in the past. A constant push from the users and a possibility of having users leave the insecure platforms for the emerging, less popular but more secure options was a threat enough to make this push work. “Just as people won’t put their money in a bank they won’t trust, people won’t use an Internet they won’t trust,” Brad Smith, the general counsel for Microsoft, said recently. LEAs are giving that same old rhetoric of “national security” – the buzzword used world over now for justifying any attacks and intrusion on personal or public lives. However, consumers have really appreciated the move by Apple and Google as they aren’t doing this to safeguard terrorists, as the agencies try to showcase. The efforts have been done to give the key of personal data and privacy right in the hands of the user and very rightly so. Wonder if they would also want to give our house keys in the hands of some companies too? There is no justification of governments trying to conduct mass surveillance going against fundamental rights. 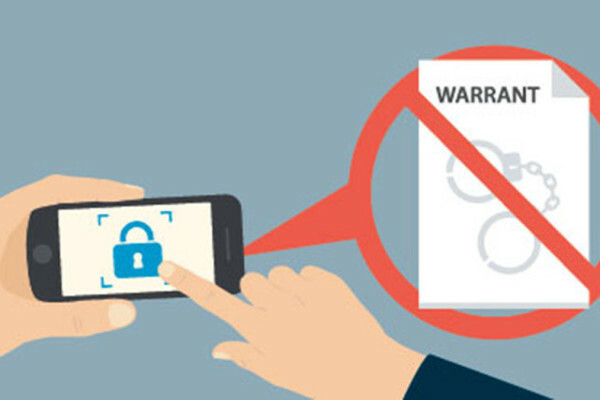 If there are any targeted people, warrants may well be procured before going after the data. But no, too much hassle for the masters.